This unit is able to mix the gases together and control the total flow being delivered to a patient. 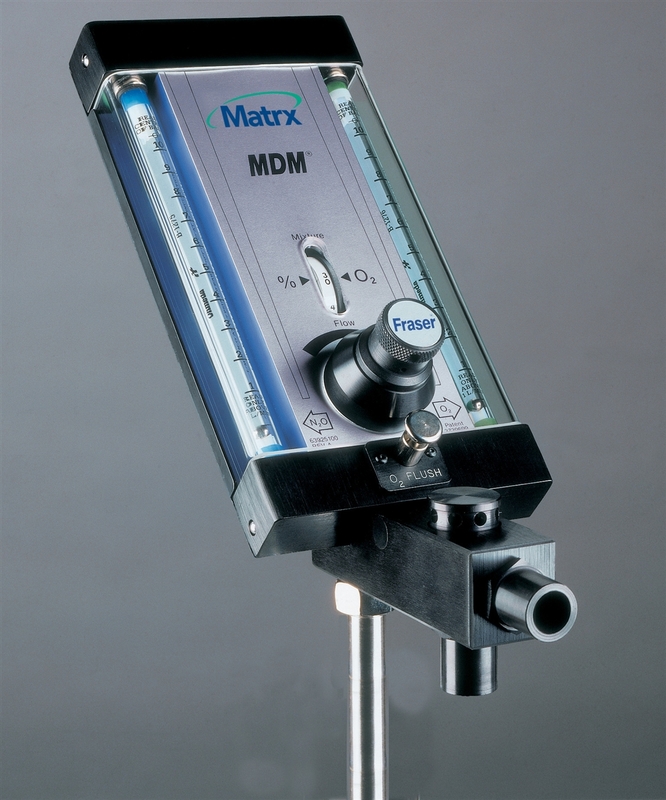 This unit is designed to maintain a constant total flow to the patient; total gas flow is increased or decreased using one dial and the percentage of nitrous oxide administered can be adjusted with a second dial. Copyright © CS Enterprise. All Rights Reserved.